This tension is a constant one. It is at the centre of so much argument over what the nature of social movement and just how we should go about both creating and consolidating change. Some, like Piven and Cloward, argue against all organisation that goes beyond a basic capacity for supporting mobilisation, others argue uncritically for organisation at all costs (especially those most invested in them). Myles Horton is naturally quite dialectical about it all. 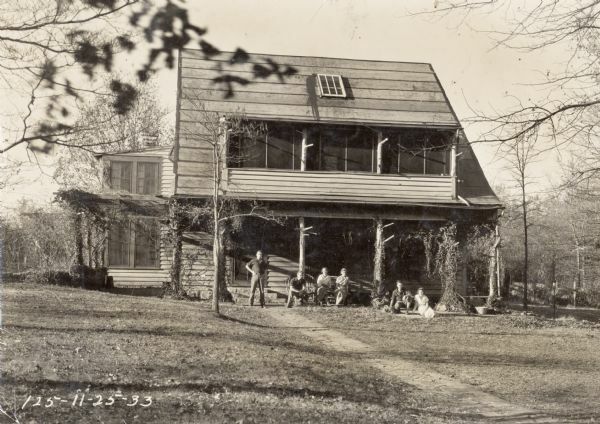 There is a tradition of folk schools in Denmark, which Horton visited, then came back to his home country of the Appalachians and cofounded Highlander in 1932 with Don West and James Dombrowski. They raised money from subscribers through the Fellowship Of Reconciliation (FOR — another movement organisation to be further explored), which they had ties too, as well as socialist networks. Of course, most of the time you’re not this lucky. Part of the reason they were so aware of this, is that Highlander was for decades the only place in the south where people both black and white could stay, eat and meet together. This alone was revolutionary as for decades, beginning with its educational work in the labour movement, Highlander fought segregation through its daily practice. It’s only in a movement that an idea is often made simple enough and direct enough that it can spread rapidly. Then your leadership multiplies very rapidly, because there’s something explosive going on. People see that other people not so different from themselves do things they thought could never be done. They’re embold­ened and challenged by that to step into the water, and once they get in the water, it’s as if they’ve never not been there. People who work to create a decent world long for situations like this, but most of the time we are working with organizations. We cannot create movements, so if we want to be part of a movement when it comes, we have to get ourselves into a position-by working with organizations that deal with structural change-to be on the inside of that movement when it comes, instead of on the outside trying to get accepted. Highlander was at a crossroads in the late 40s and early 50s, phasing out of union organizing as they had succeeded in helping the unions become ready to further organize and work on their own. They tried to start up conversations around building a liberal labour-farmer coalition, but that went nowhere. Quite naturally they also began to focus on racism. They had been confronting this for many years, also they had more and more people from Africa and Asia arriving for conferences unable to feel comfortable anywhere else in the south. Education director Septima Clark (there will be more about her) made a proposal for schools to help people learn enough to pass Jim Crow literacy tests so that they could vote. Bernice Robinson taught the first classes and helped craft the program. A niece of Septima Clarke, she also worked as a black beautician — her business a social centre, as well as a job of status and independence in the community with its economic independence of whites. Bernice and the first 14 students decided to call it a citizenship school. The first thing on the wall that they learned to read was the United Nations Declaration of Human Rights. (In Septima Clark’s memory it was the constitution they learned from — there are some interesting minor differences in the ways she and Horton remember things, but more on that in another post). The citizenship schools became wildly successful, an idea whose time had come. Septima Clark, Rosa Parks, Ralph Abernathy, Martin Luther King and Ella Baker along with the whole host of organisers from SNCC held a number of important meetings here. This of course put Highlander at risk. In 1961, Tennessee District Attorney shut down Highlander — raiding it and arresting those who were there on charges of selling liquor without a license and for holding interracial classes. The trial resulted in the State’s confiscation of the property. Within two months of being locked up, someone had burned it down. Highlander temporarily moved to a big house in the black community of Knoxville. There they faced arson and firebombing attempts, the puncturing of their tires, and the shooting out of their windows. 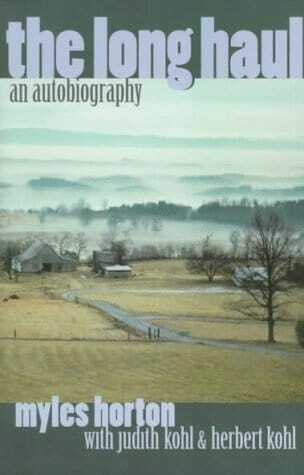 They survived there ten years, before moving back to another farm in rural Tennessee. Another aspect of social movement is its leadership — and most prominent is always leadership of a different kind than that provided by Highlander. One thing I especially like about social movements is that even though they throw up charismatic leaders, most of the people who are part of them can learn to be educators and organizers. High­lander was able to play a role in developing educators because we were asked to do the educational work by both SCLC and the Student Nonviolent Coordinating Committee (SNCC). We trained the people who ran the Citizenship Schools and the voter registra­tion drives, the noncharismatic people. That was when I learned, just as I had in the earlier industrial union period, that educational work during social movement periods provides the best opportunity for multiplying democratic leadership. A final point. For Horton the struggle was never just within the local area, the region or the nation — he emphasised that this approach must be international. He traveled widely, part of building a network of people involved in this kind of liberatory praxis, and believed their approach connected Appalachia to other oppressed regions and areas, as well as other struggles and other people engaging in similar work such as the Sandinistas in Nicaragua and Paulo Freire… What is not to love? This is the second of three posts on Myles Horton’s The Long Haul, the first is on popular education basics, and the next will be contrasting popular education with community organising.